Hello Guys, In this tutorial I will teach you How to Install Android Oreo 8.1 on PC. So As we know as most devices running on android Oreo and Now Oreo x86 8.1 is ready for Windows PC and Linux PC. 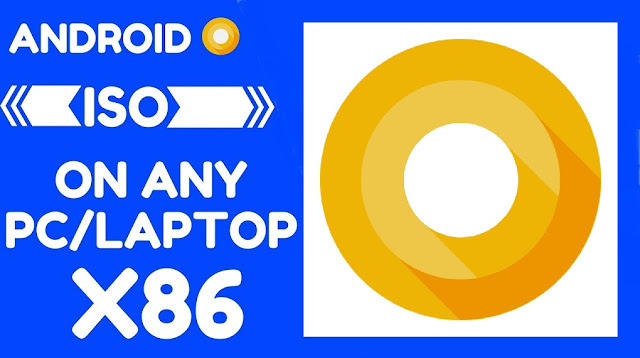 In this post I will teach you how to install Android 8.1 Oreo on PC and it's also work for x32-bit and x64-bit processor. This is the latest version of Android x86 Oreo for PC. This Android x86 oreo is tested on my Lenovo notebook and HP Notebook and it is working fine without any problem but do it on your own risk I am not responsible for any damage. Also check out List of Best Android OS For PC with Windows Dual Boot. Download Rufus and Android Oreo 8.1 ISO from end of post. Run Rufus Software on your PC and Connect USB Flash Drive to PC. 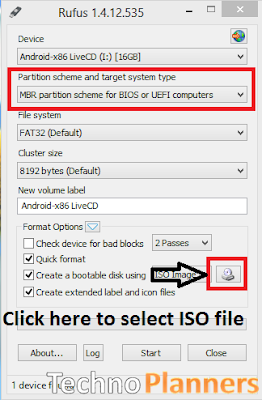 Now Click CD-Drive logo button to select ISO file. 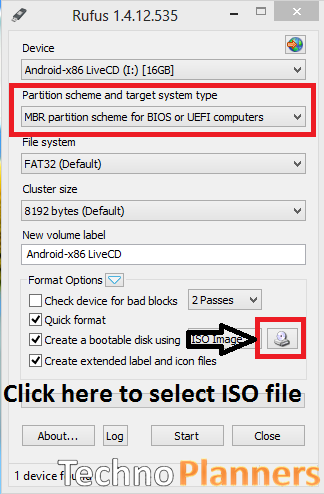 Now find and select the ISO file and click on the start button. And wait to finish it. When the Android x86 Menu appears, Just Select Install Android x86 to Hard Disk. Select your appropriate hard disk partition to install Android x86 or you can install on any new partition. Now, You will get a prompt message to the installation of GRUB Bootloader. Make sure to hit on yes. Now, another prompt message will ask you to make system /r/w. Hit Yes on this. After that, you will get another prompt to install internal space. Use 2048 MB of space, as that’s the maximum supported. Now select Reboot. After Reboot You can use Android x86 on PC. Congratulation, Now you can enjoy Android x86 Oreo 8.1 on PC and notebook with Windows 7, 8, 8.1, 10 dual boot supported. If you find any this help full please drop your comment below and Share this post with your friends thank you and have a nice day.